﻿ Will a high pitch sound deterrent machine work against opossums? Will a high pitch sound deterrent machine work against opossums? Some pest control companies will tell you that ultra sound emission can be effective when it comes to repelling insect and animal pests. They may claim that any device that can make pulses of high frequency sounds which are above the level of human hearing can make the pests go away. It is said that the pests are not able to tolerate the sound and will lose the capacity to communicate amongst themselves as well. Like any other consumer product, the companies will do anything they can in order to market such items. The ultrasonic sound emitters are now marketed to repel many animals, including dogs, cats, mice, bats, rats and opossums. However, wildlife experts, biologists and the government have found out that these devices do not contribute to the long term change of behavior of these animals, and in short, they are just a gimmick. Before you decide to use these items, you have to know that they are based only on theories and they have not been proven successful by anyone. When they are used to deter different animals, they have not been shown to alter the behavior of the animal in any long term way, even when the devices are used with a high level of frequency. Many animals will only investigate where the sound comes from and then they will ignore it. Some animals will be bothered by the sound when it is first used, but they will quickly get used to the sound and it will no longer affect them. 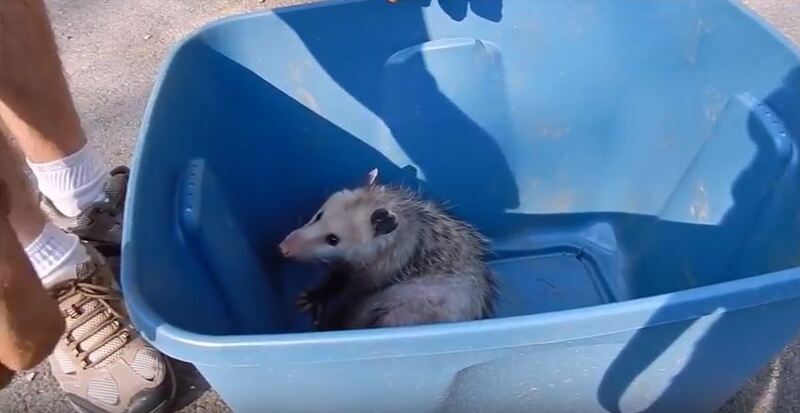 The high pitch sounds have frequently been used by homeowners who want to keep opossums away, but the opossums do not seem to particularly care about the sounds. If anything, they will play dead when they hear the sound and will not leave the property. If you want to get rid of the opossum, you have to use natural home remedies or use traps to capture and relocate them humanely. The easiest and the safest way to get rid of the opossum is trapping them. You can find different traps available at the market. Tomatoes, banana or other fruits may be the perfect bait to use. Many people will decide to call a wildlife removal expert to take care of the opossum situation for them. These experts will take care of the problem quickly and can help you in setting up some prevention measures to keep the animals from coming back. Go back to the How to Get Rid of Opossums page or email us if you have any other questions about Will a high pitch sound deterrent machine work against opossums?